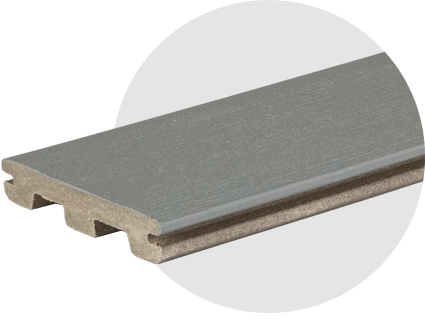 Composite deck board prices vary from one supplier to the next. TimberTech’s prices range from approximately £39.99 - £104.00 per square metre (plus VAT). TimberTech composite decking offers outstanding value for money – our prices are extremely competitive, and thanks to the superior quality of our deck boards, your garden deck will last for decades with virtually no maintenance. Wondering how much your dream deck will cost? Request a quotation today, or choose from the options below to see the price of your preferred composite decking product. Is composite decking worth the price? Many people are put off by the cost of composite decking. It’s true that good-quality composite deck boards are more expensive than some wood and plastic products, and with this in mind, you might be wondering why anyone would choose to pay composite decking prices when they could get something cheaper elsewhere. The answer is simple, and can be summed up in one word: quality. The cost of composite deck boards may be higher than that of softwood or plastic, but those cheaper products simply can’t compete on quality. 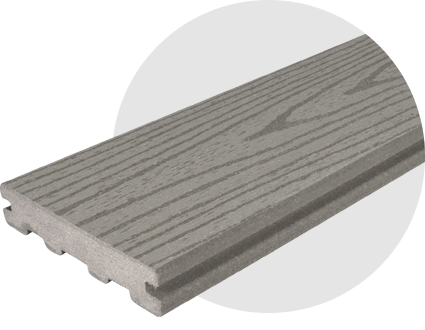 Most of our composite deck boards come with a 30-year warranty (10 years for commercial installations). Our decking boards will save you a lot of time and money on care and maintenance! No matter what the weather forecast is like, your TimberTech deck will remain beautiful for years. No Warp, Rot or DecayStays beautiful for decades! Sturdy ConstructionOur solid composite deck boards offer great strength and endurance. ProfilesGrooved and ungrooved boards available. It’s true that you’ll make a short-term saving when you purchase cheap softwood decking instead of TimberTech’s composite deck boards, but remember that the short term isn’t everything. It’s highly likely that the money you saved (and plenty more besides) will end up being spent on maintaining, repairing, and ultimately replacing your cut-rate deck. Composite deck boards are specifically designed to avoid such problems, and we feel that the long-term benefits more than justify the higher price tag. Unlike a softwood deck, your TimberTech deck will never warp, rot, or decay; our decking material is weather-resistant and outstandingly robust. You’ll also save yourself a fair bit of time. Timber decks have to be stained and sealed on a regular basis to stop time taking its toll on the wood; our decking, on the other hand, is made from a durable wood/polymer composite that needs practically no maintenance whatsoever. All you’ll need to do is give it a jet wash from time to time.